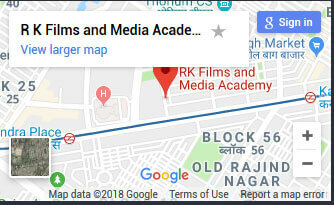 The course aims at training its students on the foundations & the techniques used while editing audio-video (which includes Photoshop, Premier Pro, FCP Final Cut Pro and audio editing). The training also aims at giving basic to intermediate knowledge & techniques employed while working on non-linear editing (NLE) systems. Anyone aspiring to be an audio-video news editors, finish editors, and producers and other broadcast personnel responsible for producing edited content. Students from different streams like Fine Arts, Media, Mass Communication & Journalism, etc. & who are interested in gaining more information about the editing process used in TV & Films production, short films, online videos like YouTube, etc may also join. The duration of the training depends on the level of experience & knowledge of non-linear video editing concepts. Following charts depicts a summarized & a clear picture of the duration of the course for various categories of applicants along with the corresponding mode of training.